This is a guest post by Yeng Wai. He is currently Vice President, Product Management at Peoplewave and leads product vision, strategy, research, and development across all of Peoplewave’s products. HR and Digital. Two worlds that in the past had either never collided or were conjoined in ways that ended in more pain than productivity. Today, the digital transformation of HR is a growing topic of discussion. While it is possibly a by-product of my filter bubble, particularly on LinkedIn, the reality is that there has been an increasing number of posts about HR Tech conferences, people analytics, artificial intelligence (AI) in HR, organisational network analysis, Agile HR, and many other related topics. The world of work is changing and the future of work is here, apparently. The rhetoric is bullish about technology and its power to transform. Enterprises with the resources are trying out new digital technologies and solutions in HR. Small and medium enterprises (SMEs) are not to be left behind. In fact, 80 percent of respondents to a 2017 survey conducted in Singapore among SMEs believe that digital technology (which includes HR technology and software tools) can help their companies grow. However, instead of SMEs adopting digital technology en masse, the findings reveal that 41 percent were unable to devote resources to digital while 29 percent of respondents felt that implementing digital technology was too complicated. I won’t be surprised if enterprises feel the same about technology. 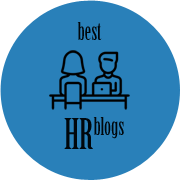 If you’re just starting out exploring the world of HR Tech and you’re wondering where and how to begin, I hope what I have to share would be useful! What is the real problem you want to solve with HR Tech? In the ever-growing HR Tech scene, there will be more and more startups offering interesting solutions and technologies to solve problems across the entire HR spectrum of needs from recruitment and talent acquisition to payroll, learning and development, etc. At Peoplewave, our current solutions help organisations with onboarding new hires as well as performance management. However, when we meet with prospective clients, we always begin with wanting to understand the existing problems they face. It may seem unusual, but often as we speak, we are able to help our clients define their problems better (regardless of whether they select our solutions in the end). For example, we met with a client on our Performance Wave solution. As we dug deeper, we realised that the client actually had two different problems – performance management and measuring employee sentiment. We were able to address the first issue with Performance Wave and after further discussions, the client decided to continue with their current process of informal feedback to gauge sentiment for the time being. What about you? Do you know what your real problems are? What would the employee experience be when adopting HR Tech? So you’ve identified your problem well and you’ve narrowed down the HR Tech vendors that you think would solve your problem. The next step is to understand the employee experience that each solution offers. It is not enough to simply watch a demo of the particular digital tool you’re looking to purchase. If any HR Tech company approaches you with a “demo” that is really a deck of slides, don’t waste your time with them. What you really want is to get a demo into the hands of the people in your organisation who would be using it. This would also set the stage for a smoother buy-in of the new tech subsequently. For example, if you’re looking at a payroll solution, let the relevant executives have a go at using the solution and get their feedback. Do they find the solution useful and easy to use? How do they see the solution fitting into their workflow? How much change do they foresee with adopting a new solution? Seek out feedback on the HR Tech and seek it early. This way, you avoid the needless headache of having to explain to Finance why you’re paying for a tool that no one wants to use. In some organisations, the approval process for new tech could be rather tedious. It starts off with thorough research, detailed reports and culminating in a series of presentations comparing the top 3 solutions, their features, pros and cons, costs involved, etc to various stakeholders. With many HR Tech companies offering a subscription-based business model, the risk of adopting a novel and untried solution is significantly lowered. If they offer a free trial of the tool, even better! We practice what we preach here at Peoplewave as you may sign up for a free trial of our performance management tool from our website. So pull together a small team of like-minded explorers within your organisation and run a pilot of the tool with them. If it goes well, expands the pool of employees to test the solution further. If it doesn’t go well, the feedback will be a good source of insight into what your employee’s needs really are. You might be interested to know that we apply the same points above to the work we do here at Peoplewave. We adopt the same approach of first figuring out the problem we’re looking to solve. We then speak with target users of our products to get feedback on our product design and if it truly addresses their pain points. Finally, we constantly incorporate the feedback into the HR Tech solutions we’re building and we go through countless iterations of ideas and features, some of which will never see the light of day. As a matter of fact, we’ve begun work on our next product that utilises blockchain technology to radically transform hiring and background checks. We’ve started work on identifying the problem and have begun speaking with stakeholders in this process. We’ve been learning interesting things about this problem! We’re currently raising funds to build it and if you would like to be a part of this next exciting venture, go to peoplewaveico.io to find out more.